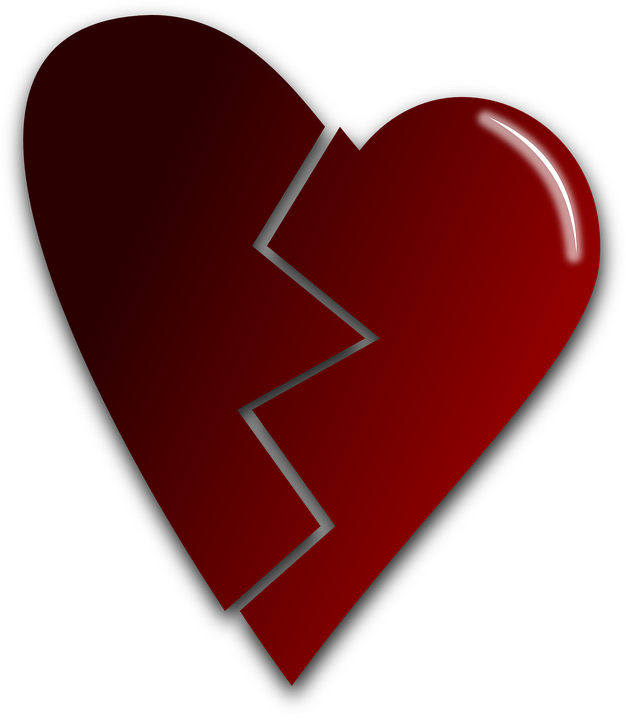 This is a time of year when many of us are thinking of broken relationships, especially but not solely family relationships. And many of us long deeply or even fleetingly for reconciliation with those from whom have been estranged. This is one of the areas where we try and help make a difference here at Interfaithfulness, where we deal with people living at the intersection of the Jewish and Christian worlds. In such family constellations, often there is stress. There may be fractured relationships, even long-standing estrangements. How and when can reconciliation occur? A recent reading from the Torah, considering the estrangement Yosef (Joseph) experienced from his brothers, provides seven guidelines useful for achieving reconciliation with those from whom we are estranged. Yosef’s brothers have come to Egypt a second time to get food for their family in a time of famine. And Yosef, who they do not recognize, and who they had sold into slavery some twenty years prior, has put them through some ordeals, accusing them of being thieves and spies. Now he has threatened to keep their youngest brother, Binyamin (Benjamin), who is the child of Rachel, Yosef’s mother, with him in Egypt, while they return back to Canaan to their aged father, Isaac. But the brothers know that if they don’t come back with Binyamin, this will kill Isaac. 45 At last Yosef could no longer control his feelings in front of his attendants and cried, “Get everybody away from me!” So no one else was with him when Yosef revealed to his brothers who he was. 2 He wept aloud, and the Egyptians heard, and Pharaoh’s household heard. 3 Yosef said to his brothers, “I am Yosef! Is it true that my father is still alive?” His brothers couldn’t answer him, they were so dumbfounded at seeing him. 4 Yosef said to his brothers, “Please! Come closer.” And they came closer. He said, “I am Yosef, your brother, whom you sold into Egypt. 5 But don’t be sad that you sold me into slavery here or angry at yourselves, because it was God who sent me ahead of you to preserve life. 6 The famine has been over the land for the last two years, and for yet another five years there will be neither plowing nor harvest. 7 God sent me ahead of you to ensure that you will have descendants on earth and to save your lives in a great deliverance. 8 So it was not you who sent me here, but God; and he has made me a father to Pharaoh, lord of all his household and ruler over the whole land of Egypt. 9 Hurry, go up to my father, and tell him, ‘Here is what your son Yosef says: “God has made me lord of all Egypt! Come down to me, don’t delay! 10 You will live in the land of Goshen and be near me — you, your children, your grandchildren, flocks, herds, everything you own.11 I will provide for you there, so that you won’t become poverty-stricken, you, your household and all that you have; because five years of famine are yet to come.”’ 12 Here! Your own eyes see, and the eyes of my brother Binyamin, that it is my own mouth speaking to you. 13 Tell my father how honored I am in Egypt and everything you have seen, and quickly bring my father down here!” 14 Then he embraced his brother Binyamin and wept, and Binyamin wept on his neck, 15 and he kissed all his brothers and wept on them. After that, his brothers talked with him. What do we learn here about how reconciliation occurs, if it is to occur? 1. There needs to be a mutual desire for reconciliation. There is no sense making believe. If there is not a desire for reconciliation, however slight, on the part of both parties in the relational split, nothing good is going to happen. This desire for reconciliation was very strong in Yosef. His brothers had no such expectation because they had given him up for dead! But in the circumstances you face, if you are seeking reconciliation with someone, ask this question: Do I have reason to believe that the other party/parties in this matter want to move toward reconciliation? 2. There needs to be regret for past transgressions. Yosef had put his brothers through quite an ordeal during which they had come to suspect that their misfortune was due to their having betrayed their brother so many years earlier. They felt God was getting even with them. They felt regret. So ask and answer this question: Do I have reason to believe that the parties in this matter regret what was done and what happened? 3. Reconciliation is based not on make-believe, but on truth. Yosef said to them, “I am Yosef, your brother, whom you sold into Egypt.” Later he will say, “You meant it for evil . . .” He called a spade a spade. You cannot have real reconciliation by making believe nothing happened, or simply letting bygone be bygones. We are not talking here about making guilty parties eat crow. We are not talking here about rubbing people’s noses in their transgressions. But neither are we talking about making believe that nothing happened. There has to be some basis in truth for real reconciliation to take place. Ask and answer this question: Do I have reason to believe that the party/parties in this matter at least to some degree will value seeking the truth about the matter more than they value remaining entrenched in their position, regardless of the facts? 4. There has to be a willingness, even an eagerness to forgive. Obviously this was the case for Yosef. Ever since the first saw his brother come down two years earlier to get food during the famine, he has been wanting to reveal himself and to be embrace them . . . but not until he had worked real repentance in their hearts. Ask and answer this question: Do I have reason to believe that the aggrieved parties in this matter are prepared to extend and/or receive forgiveness. 5. One or more parties needs to have a sense of God’s sovereignty in the events that transpired. “It wasn’t you who sent me here, but God. . .You meant it for evil, but God meant it for good.” Despite the grievances suffered, one of more parties need to believe that in the midst of it all, God was still at work, even turning tragedy toward beneficial ends. Ask and answer this question: Am I and/or others in this matter prepared to see the hand of God in all of this? 6. The aggrieved party should be someone who has gone on to build his or her own life in the interim. No reconciliation is possible if you are going to hold somebody hostage to the fact that you allowed your life to be totally derailed by the grievance they perpetrated on you. No matter what has happened to you, you need to go on. And when you confront them, you can say, “I have gone on with my life, but we both know that damage was done.” This is what Yosef says. He tells them about his triumphant career and position in Pharaoh’s Egypt. Their having betrayed him did not define him. Ask and answer this question: Have I gone on with my life, or am I seeking to blame the other party/parties for my not having done so? 7. Reconciliation is built not on rehashing the past but on reconceiving the future. This is what Yosef does in his admonition to his brothers in this reading. He talks all about a better future. Ask and answer this question: What kind of a future should we be seeking to build together as a product of our reconciliation? Restoring relationships always calls for both delicacy and hard work. It is seldom easy and needs to be carefully managed. But there are no guarantees. Unless the qualities in this list are present, reconciliation is likely impossible. In fact, some relationships are so damaging, so toxic, that they need to remain broken. That is a fact of life. And if you want to consult with someone about a sticky reconciliation situation you are facing where your life intersects with Jewish or Christian others, feel free to contact us here. Perhaps we can help you. I so needed this today, Rabbi – more than words can express. Thank you. Shalom DeAnna, I am glad this helped you. Thank you for saying so. You’re welcome, Rabbi. I’m finding your blogs most beneficial. Thank you, again. Shalom and blessing to you.